Check the Skin it’s In! What is the container is made of? If you can, find out what material the container or item is made from (especially on the surface). Can you find out more from the manufacturer? Is the surface porous? Some materials such as terracotta or unfired clay are extremely porous. They can absorb and leach water-soluble chemicals through the surface into the soil. Avoid Materials contaminated with Lead or Asbestos: Lead is a naturally occurring metal, but it is also a very toxic poison to all forms of life. Soil can become contaminated with lead if it comes in contact with lead based paint. Try to avoid choosing items to repurpose into a planter, that may contain lead and asbestos. Examples include old containers coated with lead based paint or building materials that may contain asbestos. Prior to 1970, paints contained high lead concentrations. Prior to 1950, some paints had as much as 50% lead in them. However, today the maximum recommended amount allowed in domestic paints is 0.1%. The danger with leaded paints occurs when the paint deteriorates (by peeling, chalking or turning into a fine dust). Peeling or cracking lead-based paint on an old container is a hazard to watch out for. The most common areas lead based paint was used in homes is on interior and exterior walls, cupboards, skirting boards, window frames and doors, gutters, fascias, metal surfaces and areas with enamel paint. If you want to reuse an item such as an old window frame, it’s important to check the age of the house it came from. Make sure you avoid paint contaminated with lead. If you are renovating or sourcing materials from a salvage shop, recycling centre or second-hand building supplier, it is wise to find out the age of the materials first. Be cautious about reusing painted materials for a garden planter if you can’t determine they’re safe – reuse them in a potting bench instead! Past life: Do you know the history of the item? If you are salvaging it from a farm or garage sale, has it had contact with agricultural chemicals like herbicides, fungicides and pesticides? Or has it held other toxic chemicals or dangerous substances? For example, from medical or industrial sources, drugs or poisons. If so, it would likely not be safe to plant into and especially not for food. Many people reuse plastic buckets as containers to grow food gardens. If they’ve come from the food industry (and are food grade plastic) this is likely fine. However, if they have come from a factory manufacturing polymers or other chemicals, perhaps it would be wise to find another planter! Pay particular attention to the recycle numbers on the plastic container. Avoid plastics numbered 1, 3, 6 and 7. Learn more about the dangers of PVC here. You can check whether a plastic container is safe for use in your garden by looking for the recycling symbol. It’s usually on the base. Still not sure? Read the comments on this page or use the search box for further discussions on a wide range of materials. You can also look for the relevant MSDS (Material Safety Data Sheet) relating to the product or item you are reusing. This site provides free MSDS information and is one source you can check. You can find out more about specific materials such as terracotta, concrete and plastic in Choosing A Container – the Pros and Cons. Containers suitable for use as planters are made from all sorts of materials – each with pros and cons! No matter how appealing the container looks, please consider carefully whether it could leach residues into the soil before planting directly into it. Recognise this? It was once a computer terminal relegated to the scrap heap when some fancy, flat-screen newcomer came on the scene. Now, it’s been transformed by an innovative gardener into a funky ornamental planter. If you have found the perfect planter but still have concerns over whether it’s safe to plant in, here’s an easy solution. 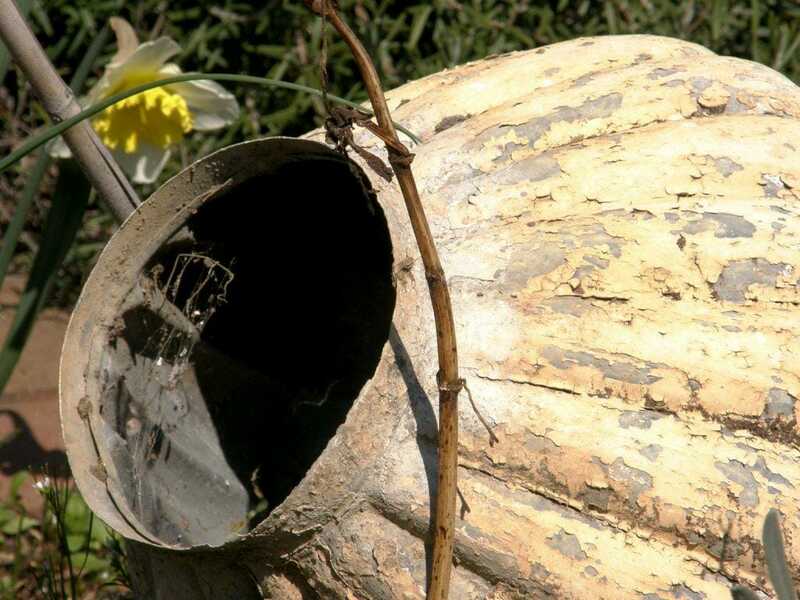 With a little creative thinking, you may be able to still use it as a ‘Cachepot.’ This is an outer decorative or ornamental container used to conceal a smaller pot plant. Cachepot comes from the French word cacher, to hide + pot, pot. This technique is also known as double potting. You simply put your plant into a safer small pot inside your cachepot. Cachepots allow you to use containers that are visually appealing, without worrying about whether they are leaching toxic chemicals into your food. A timber barrel treated with a preservative stain looks attractive on the OUTSIDE. Edibles are planted in a less attractive, but safer plastic pot INSIDE. Nestle the plant pot down inside the cachepot or outer container. If you want to, cover the top of both containers with mulch so you can’t see the inner pot. No one will ever know! Want to learn more? Check out: Is PVC Plastic Safe to Use in an Organic Garden?, Container Gardening and Growing Your Own Food. I have a green house in side. I don’t like the fact they are in plastic pots. What can I use to replant my plants into? I thought about glass but they don’t make it big enough for my avocado tree. Would I be better off in the future when I remoddle to just plant in the ground and cover with a green house? Keep it heated ect all year round. There are a wide variety of containers you can use. I suggest you review this comparison guide as a starting point to help with your decision-making. I want to use gutters (new) to make an herb garden. I’m looking at aluminum because it’s cheaper than copper, but will aluminum leach into the soil/herbs? I read that copper could actually be beneficial for plants…thanks! It’s tough balancing repurposing with safe food growing practices. It comes down to doing your due diligence and this often means reading research papers (some of which are in the above comments). This article provides more information on copper in soils. Gutter gardens are also VERY shallow so don’t allow for a deep root system. Thus you are very limited with what herbs you can plant. Also, depending on your climate, metal heats up and can fry any microbes in your potting mix and reflect heat onto your herbs. Then you have to consider watering. It will need water more frequently due to the shallow nature of the gutter and if you just use normal potting mix, this will dry out very fast in the sun. Mulch is essential, but I’d also make my own potting mix so it contains moisture-holding ingredients. Making your own potting mix can also be a buffer to any chemicals that may have leached. I have a recipe card which has a particular natural mineral ingredient that you add to potting mix to bind any chemical contaminants, so they are rendered inert. You only need to add it once and it keeps working. I use it as a kind of ‘insurance policy’ with many of my clients’ gardens where they have used treated timber, have metal raised garden beds or other situations where chemicals may leach. This may be a solution you could consider. You can learn more about the How to Make Homemade Potting Mix Recipe here. I hope this helps give you some food for thought and info you can use to make your decision. Hello! I purchased an indoor herb gardening set that looks like a ladder with plastic planters. I don’t like the color so painted them with chalk spray paint to label the plants. some spraypaint got inside. Is it still safe? I had covered my vegetable garden bed with cardboard and black plastic trash bags to protect it from an adjacent garage being torn down and rebuilt. Unfortunately, I left it that way over the winter and now I am afraid that they have leached into the soil. What would you suggest? During winter the soil microorganisms are usually quite dormant due to the cooler temps. Pull the bags up if you can and remove them. I would reinvigorate your soil with lots of organic matter and more thick mulch. An active soil biology can help to remove some of the toxins but this takes time. See 5 Simple Secrets to Building Healthy Soils and Revitalising and Re-using Old Potting Mix for detailed steps and tips. If the bags started to decompose, then some plastic compounds likely will have leached into the soil. I would then make my own potting mix and plant into pockets of it as a buffer to any chemicals that may have leached. I have a recipe card which has a particular natural mineral ingredient that you add once to your soil to bind any chemical contaminants so they are rendered inert. You only need to add it once and it keeps working forever. I use it as a kind of ‘insurance policy’ with many of my clients’ gardens where they have used treated timber, have metal raised garden beds or other situations where chemicals may leach. This may be a solution you could consider. You can learn more about the How to Make Homemade Potting Mix Recipe here. I hope this gives you some steps forward and options. Hi, I wonder if you can tell me if you think baths would be safe to grow food in (in wicking beds), both modern metal ones (pressed tin?) and old cast iron ones. I wonder if there could be lead in the old enamel? Also wondering what options there might be if you suggest not using plastic pipes to water. Is there any product you feel would be safe for wicking beds? perhaps concrete stock troughs with metal for the pipes? I’ve answered similar questions previously but not specifically about CCAI as I haven’t researched this. Perhaps it’s best you do a Google search yourself and happy to hear any results you find to share. Please refer to previous comments here and here relating to metals leaching. Another thought is that cans are pretty small for a plant like tomatoes. There are many other larger options that may be safer. I err on the side of caution when it comes to growing edibles. Is it safe to use liquid laundry plastic bottles for planters? it has symbol number… Plastic #2 – HDPE (High Density Polyethylene), I’ve washed and dried it out a # of times but the scent is still in the bottle. I personally use an eco-friendly laundry powder that doesn’t contain harsh chemicals or strong fragrance. The chemicals can penetrate the containers (I’m sure you know about BPAs) so perhaps you could use this for a non-edible plant if you really want to upcycle this particular container. You may want to research some more environmentally friendly and healthier options for laundry detergents instead. This is a recent article that may help. Amazon also sell eco-friendly laundry products if that is more convenient for you. This one for example is ideal for repurposing into small watering cans by punching nails into the top. You could reuse it by adding liquid fertilisers and keeping a few around your garden. I hope this helps you with a few options to consider Chris. What is an alternative for a pvc pipe? I built self watering planters using food grade buckets. I’m looking for a 1in x 2ft alternative pipes to pvc. Any suggestion or is the pipe okay to use? Are there better type of PVC? Whilst PVC pipes are commonly used in all sorts of DIY food garden projects, it’s not something I recommend at all. Please read Is PVC Plastic Safe to Use in an Organic Garden? Recently I shared a self-watering bucket planter project on my Facebook page from one of my subscribers. You may find it useful and feel free to ask Clinton questions about where he sourced his HDPE tubing. This is a safer option that PVC. He also shared some photos which may be of interest in your project. Hope this helps! If you make one, please share on the Facebook link. 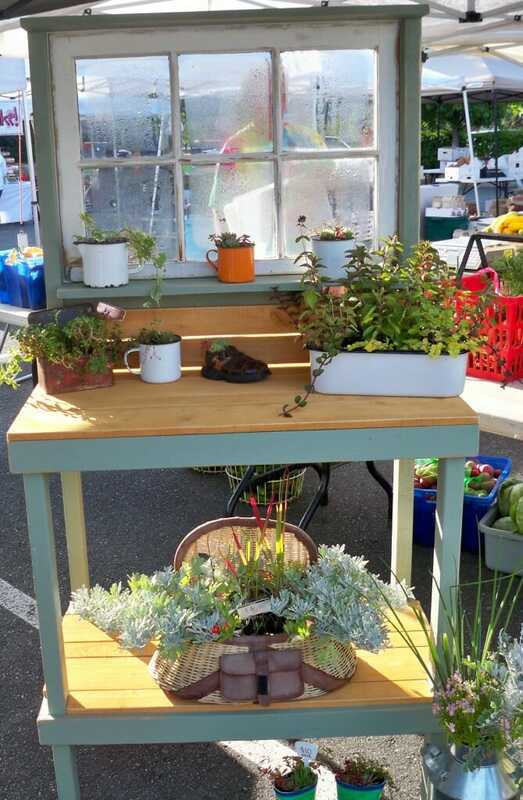 Our gardening community would love to see what you make! What is the best (permanent) flexible liner to use for a food safe planter box? And are there any glues that can be used to glue them down if necessary ? Hi Unfortunately I do really mean a stand alone planter that must be waterproof lined. Think of it as container planting for vegetables and herbs (there is drainage built in). . It is being built in to my deck as a permanent structure, and is not in contact with the earth below. Yes, I will maintain the soil. I cannot leave it unlined, as it is part of an expensive hardwood deck , and again is intended to be permanent. The guys building it have assured me that the plastic liner they are using is food grade, but I am convinced that they have absolutely no idea. Their only assurance is that they use it for planters all the time and have not had any problems, LOL!!! They also admitted that they bought large rolls long ago as they use it for lots of planters, so my guess is that it is not even whatever is most currently available. Is there a particular plastic flexible liner that is know to be food safe for planting and use as a liner in this application ?? Thanks for stopping by and I think it’s really important to be thinking about the kinds of inputs you are using when growing food. You want to make the best decision you can with your particular circumstances and that means doing due diligence. You don’t mention what kind of drainage system you are using but if it’s a wicking bed type of set up, then you may also want to look into whether PVC pipes are being used. If so, this opens another can of worms in terms of safe gardening practices! Re the liner, I suggest you research more about choosing either bamboo such as a Bamboo Root and Waterproof Barrier Plastic Sheet or a liner made from of the safer plastics such as LDPE or HDPE. Life without Plastic has some useful tips that may help you with your decision. They are saying it won’t leech toxins and it won’t rot, so my question is is it really safe to use? Hi Dean, I am not familiar with that product so checked their site @ http://www.chhwoodproducts.com.au/formrite-formply/ and couldn’t find any information relating to the safety of that product indicating it does not leach chemicals. After reading the information on their site, it appears the timber is treated with formaldehyde. According to this report, “Many wood products today incorporate formaldehyde-based glues. The IARC has classified formaldehyde as a Category 1 ‘known human carcinogen‘ (IARC 2008). In many commonly used forms formaldehyde will offgas, particularly in new products and in high heat and humidity. Inhalation of formaldehyde vapors can cause fatigue, respiratory irritation, allergic skin reactions and is a probable carcinogen (IARC 2003). Plywoods used for exterior and structural applications typically use phenol formaldehyde (PF) resin. PF is a more expensive, water-resistant glue, and a much more stable product that offgasses at a much lesser rate than UF glue.” You can draw your own conclusions from this information! Personally, I won’t use treated timber in my garden as I don’t want to contaminate my healthy soil with toxic chemicals that may leach. There are many eco-friendly alternatives. These are a few you can research further or just Google “eco wood recycled plastic” as I’m sure there are more than these. There are also safer wood treatments so you could consider this as an option. I am new to gardening and i was wondering is it safe to grow vegetable plants in plain plastic pot?. I am not exactly sure of what kind of plastic the pots are made up of. I would be glad to hear your suggestions if any.. I outline more details about the pros and cons of plastic pots and containers made from other materials in this article: CHOOSING A CONTAINER – THE PROS AND CONS. This should help you learn more and make an informed choice. Hello! I’m a new gardener and I’m just getting into container gardening. I was able to get free 5 and 10 gallon buckets from a pool supply company. However the buckets have a yellow triangle labeled OXIDIZER. If I cleans these containers with soap, water, and bleach will they be ok to use as planters for my fruits and veggies? 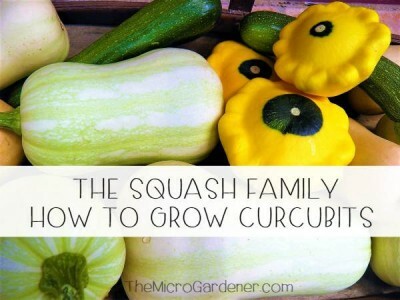 Great to hear you’re starting to grow fruit and veggies in container gardens. However, I urge you to be really careful in your choice of containers. Ex-chemical buckets may seem like a great deal but I personally would suggest you contact a food/beverage outlet and repurpose food grade buckets instead. You only have to do a bit of research into the purpose of oxidizers and you’ll find out they “are used to aid sanitizers in the effort to control bacteria and algae growth. They work by destroying organic compounds and sanitizer bi-products (like chloramines and bromamines), which get in the sanitizer’s way, inhibiting its ability to perform its #1 job: killing germs and bacteria.” According to CCOHS “Oxidizing materials (such as calcium hypochlorite) have the ability to react chemically to oxidize combustible (burnable) materials. To be an “oxidizer”, the material itself provides oxygen which combines chemically with another material in a way that increases the chance of a fire or explosion. This reaction may be spontaneous at either room temperature or may occur with slight heating. Thus, oxidizing liquids and solids can be severe fire and explosion hazards.” You only have to read this Oxidizer label to see how hazardous these chemicals are. Using bleach is just another chemical that releases toxic dioxins into the water supply. Personally, I’d seek out an alternative before putting your food garden into them. Hope this helps! All part of the learning process. Check out the rest of my free articles on growing your food garden in my online library. You should find plenty ot get you started. Firehouse Subs sells their food-safe 5 gallon pickle buckets for only $2 to help fund their fire department program. 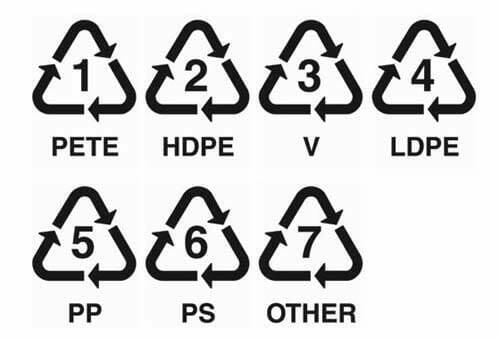 They are labeled with the recycle triangle #2 HDPE- High Density Polyethelene. This is a very inexpensive way to get a hold of large, food-safe buckets for your garden if available in your area. Firehouse is located in 46 states and their website has a zip code locator. 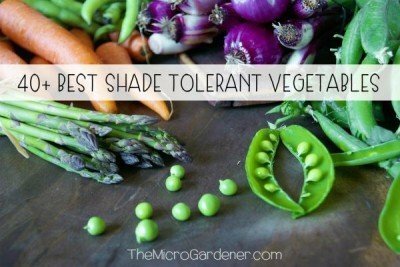 Hopefully this info will be helpful to my fellow gardeners. I use mostly newspaper to make small cups and then I use organic compost to grow vegetables in it. I love growing tomatoes using newspaper because I can plant everything in the soil. I started using newspaper because I couldn’t get plastic trays and pots, so I had to improvise. I am new to gardening edibles indoors and am wondering if stainless steel bowls would be safe? I wouldn’t recommend stainless steel bowls Rachel. Firstly, you need to consider 3 key factors when choosing plant pots for your edibles. There are many Pros and Cons and you may find these links helpful to learn more. 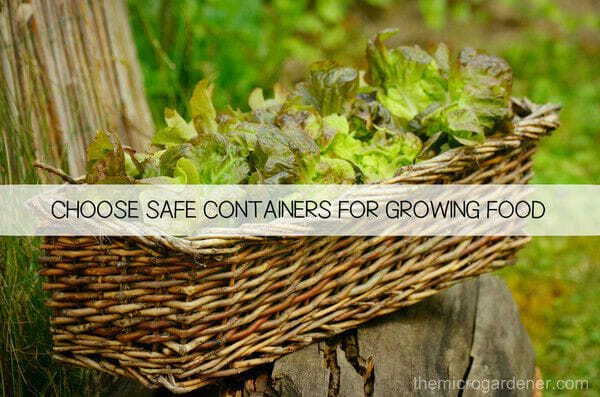 There are many safe containers for growing food. You may also find this article of interest. Stainless Steel Leaching into Food and Beverages. Thank you for your post. Very interesting. I’m looking at window planters for my herbs, I have 2 options but am concerned with toxicity. One is made of fibreglass and the other one of Zinc galvanized They are both made to be window planters, but the company doesn’t mention that they can be used for edible plants. What are your thoughts? I have some small herb plant pots that were painted. They were sold as a kit that came with seeds. However, I left them outside for a few months and all the paint started peeling off. I have since used them again to plant some herbs but I am unsure whether its safe due to the paint peeling off and they have like small yellow flaky material on it. I would like your opinion if you can help. Hi John, I can’t comment on the type of paint used. However, it’s most likely the paint is NOT zero VOC (volatile organic compounds) so probably has some chemical residue in it. You could try sanding it off if it’s on the inside of the pot. The outside probably doesn’t matter too much although terracotta is porous if that’s what yours are made of. Hope this helps. thank you for your info it has been fascinating! Hi I found a large kitchen upright cabinet and was wondering if I can prevent leeching of stain of unknown origin by wax coating. I have also considered pond liner. I don’t want alternate containers inside due to lost space in growing inches available. Hi Ann thanks for your comments. I need more information to understand exactly what you have in mind to see if I can offer some advice. I am not clear on what your project is and how you want to use the kitchen cabinet. In relation to corrugated iron, this comment has many links relating to leaching from metal. I guess it comes down to balance and making the most informed, practical and sustainable decisions you can within your budget. If you build healthy soil, your plants will be healthy and jarrah (so long as it’s not chemically treated) should be a long lasting solution as a raised bed. You may be able to preserve it with linseed oil or beeswax. Plastics are a problem in the garden – it takes time to research all the different materials available and every country is different! If you are thinking of using fabric liners such as geofabric, or perhaps burlap/hessian etc try to find out from the manufacturer if they have been chemically treated. I make my own potting mix so I know what is in my soil and build it with lots of compost and worm castings. I encourage you to do this also. Hope this helps. Hey I just got some yogurt cups and they’re recycling #6 (PS = polystyrene?). Hi Dave, yes #6 is Polystyrene. Perhaps you can find another way to repurpose the cups instead of as non-edible pots? e.g. Store pens/pencils, craft items, pair up socks in drawers etc. See Choosing a Pot Plant Container – the Pros and Cons for more tips on pots. Thank you for all the wonderful info! I have truly been enlightened. 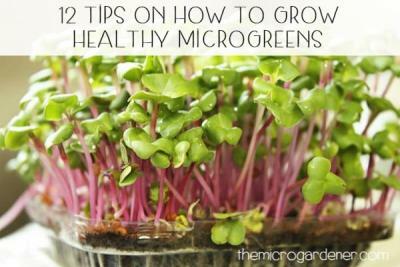 I grow microgreens. I want to purchase some trays to grow them in. My choices are acrylic and fiberglass. Do you know if these are safe? Which would you choose? I am also about to get an irrigation system installed this summer for my garden. Do you have any info on the safest way to so this? I highly respect your opinion. Thank you for all the patience and time you have put into this site. I have learned so many things that I truly was not aware of. My suggestion is to apply the Precautionary Principle when it comes to growing food, whether this is for your own consumption or you are selling your microgreens. Food safe containers are best. If using plastic trays, the safer plastics are labelled 2, 4 and 5. Fiberglass posts I believe are made from a resin such as glass-fiber reinforced plastic. Read more about the properties of fiberglass here. I couldn’t find any studies relating to fiberglass plant pots but one study ‘Sorption and Leaching of Trace-Level Metals by Polymeric Well Casings‘ indicates that “fiberglass materials were more apt to leach metal contaminants” into drinking water. i.e. soluble contaminants that could possibly be taken up by plant roots via the moisture in soil. You can decide for yourself if this is the type of material you want to grow food in. If you are considering buying a product, it’s a good idea to do your due diligence first, read research papers if possible and request a MSDS (Material Safety Data Sheet) from the manufacturer. Depending on your views regarding sustainability, buying local and environmental impacts, you may also want to consider these aspects. See Choosing a Container – The Pros and Cons for more information. I wanted to ask further about planting in poured concrete or concrete blocks. I’ve heard that there are more toxins leeching than just lime and that concrete should never be used. Could you please elaborate on this? Also, what would be barrier proof lining that we could use on the concrete? Liners open another can of worms as mainly plastics are used or synthetic weed mats. You could look into these but consider the down side of plastics leaching toxic chemicals. Biodegradable natural fabrics will only be a temporary solution and probably aren’t practical for your particular application. Synthetic fabrics may be an option. For example, woven black polypropylene (PP) [recycle #5] weed barrier, weed fabric, or landscape fabric. Usually available in a roll or cut to size by your supplier. They may cost more than some other options but last longer and are permeable to air, water and nutrients. However, if you are considering perennials with deep root systems be aware they may puncture the fabric. Hi Anne, thank you so much for sharing your knowledge in gardening to all.. I am a newbie in container gardening, we have a few old stainless steel cooking pots that I am thinking of recycling into planters or plant a few herbs & small veggies into them.. Is it safe? What should I first do to make it safe for planting? Again, thanks a lot..
Carol, welcome and great to have you visiting. There are lots of articles on container gardening on this site so feel free to explore. I haven’t done a lot of research into using stainless steel pots as container gardens so you may have to do some digging online to read more. These are some articles that may assist you in making a decision. These mainly refer to cooking in stainless steel rather than planting into them without heat, so take that into consideration. As an ‘insurance policy’, I always add zeolite to repurposed container gardens that may potentially contain leached chemicals or toxic substances. It helps as a buffer to negate their effect. You may want to consider this also. Thanks Rose. Happy to have helped shed a small spotlight on a BIG issue. Unfortunately, on popular TV gardening shows and in glossy magazines, the safety surrounding growing food is rarely if ever mentioned, let alone researched in depth. I think these publicly available programs and mags should be doing their due diligence on behalf of consumers who don’t know about the dangers. Perhaps because they only want to show what’s good news rather than share a negative spin on what to avoid? I’m not a fanatic, just trying to be a ‘conscious consumer’. In any case, I encourage you to ask questions, dig deeper and not assume a material is safe to use until you look into it. Nothing worse than trying to grow organically but inadvertently using inputs in your garden that defeat your goals. If you are worried about leaching, you can always remove the straw and add some zeolite. Hope this helps. I enjoy your comments. I would like to know if planting my herbs and tomatoes surrounding by concrete blocks is bad for the plants. Can the produce harm me. We grow organic food in a 100 sq foot, 18″ deep raised bed. I have recently become aware of using grow bags and a self watering system to increase yields and reduce watering labor. The grow bags allow more air infiltration to the roots (air pruning) and watering takes place from the bottom up by using a buried rain gutter or pvc pipe. I am considering converting my raised beds to Grow Bag setups. Most growbag brands (root pouch, etc) use 100% recycled water bottles (poly polypropylene) as the breathable fabric and my question is: For strict organic gardening, do PP agri-textiles pose a legitimate risk for leaching chemicals into the soil that can then be absorbed into the root system and fruits the plant produce and we consume? Thanks for your enquiry Strumpickenz. I’ve only briefly researched non-plastic grow bags but sadly can’t find any manufacturers. Possibly you could use something like potato sacks instead? Based on my research, all plastics can leach toxic substances to some degree, given the right conditions. Obviously some plastics are safer than others such as those labelled 2, 4 & 5. According to what I’ve read, the most dangerous plastics are #1, 3, 6 and 7. There is also an excellent website called O Ecotextiles that has many well-researched articles on plastics and bioplastics. Here’s a link that may be helpful. Many thanks. Repotting seems the right way to go, with new potting mix. Waste of four pounds of perfect looking tangerines. Oh well lessons learnt. Thanks again. Hello. Bought a timber barrel from Home Depot last year to grow dwarf tangerines. I lined it with a piece of black-colored plastic lining left over from a prior project. The sheet plastic is for boat covering with un-known plastic safety number. Now the tree is covered with tangerines and yet I am wondering if they are safe to eat! Help please. Concerned tangerine lover: It’s hard to know but I guess it’s balance. Wouldn’t home grown without chemicals be much better than store bought fruit that is laden with who knows what? I am sharing this information not to be a scaremonger, but to get gardeners thinking about their resources, materials and potential chemical inputs. It’s a place to start learning and do better next time. If you can repot your fruit tree, this may be a solution. Add zeolite into your soil which helps absorb many toxic substances and ensure you have living soil with microorganisms from compost and/or worm castings. See my Potting Mix Recipe for tips. Good luck. Thank you so much for the quick reply. I am actually in Texas. I will be sure to check out the link. Hello, I am planning on planting tomato and pepper plants in plastic #5 food grade pickle buckets. I am interested in purchasing zeolite to mix in with the potting mix, but I am having a difficult time finding info on it that isn’t from a company selling zeolite. Can you please share what company(ies) you purchase from? Thank you. Hello Anne! Thanks for this informative resource. I found a cute sectioned container at the shops made out of plywood. Do you think it’s a good idea to plant cooking herbs into the different sections? It would look lovely on the kitchen bench but I’m not sure the plywood will like the damp dirt. Houda I’d suggest you plant into mini pots and sit these inside the plywood sectioned container (i.e. use it as a cachepot or outer decorative container). This way, you don’t have to worry about whether it’s safe or not and the wood won’t break down when in contact with moisture. Would love to see a pic when planted. Feel free to email me. I tried to read through all the other comments and didn’t see anything about fabric grocery bags. I know there are several variations – once with a plastic coating and others that are just fabric. I can’t find anything printed on the plastic ones and my concern is for the dyes on the fabric ones. It can take quite some research and digging to find relevant info on potential container garden materials. There are some excellent resources and well-researched articles on OEcotextiles website. I suggest you start there. Chemical Dyes – This website says: “Fabrics are treated with a wide range of substances that have been proven not to be good for us. That’s why we feel it’s important to buy third party certified FABRICS, not just certified organic fibers (which do nothing to guarantee the dyestuffs or finish chemicals used in the fabric) such as GOTS (Global Organic Textile Standard) or Oeko Tex, both of which prohibit the use of lead in textile processing.” There are many interesting and relevant articles relating to both synthetic and natural dyes and their pros and cons. Water-Based Inks – Check out the info on Plastisol Inks as I understand that many bags are printed with these. A search on ‘Fabric Bags’ on OEcotextiles website found these articles which may also be of interest in your research. Anne, I wonder if a barrel that had non toxic antifreeze is safe, provided plastic recycle number conforms, to use as a garden tower to grow vegetables? Lyle you will have to do your due diligence on that one. If I understand you correctly, I think you mean recycling a plastic container that used to contain non toxic antifreeze. Based on the research I’ve done, non toxic antifreeze contains Propylene Glycol that has about 1/3 the toxicity of the more commonly used Ethylene Glycol based antifreeze. So it depends on your definition of “non toxic” – See these articles for more info: http://www.atsdr.cdc.gov/csem/egpg/docs/egpg.pdf and http://www.petpoisonhelpline.com/poison/propylene-glycol/. Personally, I try to use a sustainable, eco-friendly option whenever I can, rather than a synthetic or chemically based one. For growing food, I want the safest, cleanest growing environment I can use, so I don’t accidentally contaminate my soil or food with harmful substances. You may want to research articles relating to microbial activity breaking down propylene glycol in the soil, to dig deeper! I guess it comes down to personal choice – hope the articles give you some more food for thought. Cheers. What are your thoughts on constructing raised garden beds made from cement or concrete, would they be safe for a vegetable garden? Thanks for your help. Cement or concrete has both advantages & disadvantages – you can check these out in Choosing a Pot Plant Container – the Pros & Cons. You may want to weigh these up before buying your materials and making a decision to build your garden bed. The table in that post may also give you some alternative ideas to consider if you choose not to use concrete. One of the main issues with concrete is that it’s high in lime which is toxic to many plants. The most practical thing is to water the bed thoroughly several times and allow the water to drain away each time, so excess lime dissipates (although this is not a very sustainable use of water!) Or you could use recycled concrete blocks which may have already leached out the lime. Another alternative is to allow the concrete garden bed to sit empty in the rain for several weeks so lime can leach out before planting. However, once you build it, you’ll probably want to plant asap unless it’s your winter season now. Anyway, hope this gives you a few things to consider. What’s your thoughts on planting in old grape dip tins? Is H Resin (Lowes Product) a safe product for raised garden containers. If not what should I get and a source please. Thanks. I suggest you check with the manufacturer and ask for an MSDS (Material Safety Data Sheet) which provides technical and health related information e.g. whether the plastic is likely to be affected by UV or affects the environment in some way. You can also look on the product itself to find out exactly what kind of plastic the garden bed is made from. Many have a stamp you can use to ID. Plastics vary so widely – there’s just not enough information to comment further. Names of plastics can also be confusing. High density resin is sometimes also known as high density polypropylene resin. HDPE (high density polyethylene) is usually stamped with a “#2″ and polypropylene PP is usually a #5 to help with identification. These are two of the (apparently) safer plastics to use for food gardens. Recent research however, suggests that even safer plastics still leach some chemicals, particularly when under stress such as from UV sunlight. This applies to PP. This article on Polypropylene has some references you may want to investigate further. I also suggest you read my post on the Pros and Cons of Choosing Containers which has some useful advantages/disadvantages for different kinds of planters. Once you know what your short list is, you may even find a more suitable alternative. There are also many DIY planters you can make by reusing everyday materials. You can find the articles here. At the end of the day, I guess we have to make our own decisions about what to use based on the current research, space and budget we have. There are pros and cons for all containers but if you have another alternative, perhaps you could consider this instead. Hope this helps! Could you provide any guidance on safety of materials used for hydroponic gardens? I’m interested in trying to build one, but am having a difficult time with general Internet searches in finding whether PVC, CPVC or HDPE-rated tubing is food safe. In blogs I’ve come across, some recommend that I find products that are USDA certified (fork and wine bottle stamp), FDA-compliant, and NSF-compliant. But those just aren’t things that you can find. I’d be eager for any information you had on safety of CPVC and similar materials. To be truthful, I’m personally not a fan of hydroponic gardens. I believe in growing nutrient-dense organic food in soil, as nature intended, so plants can take up the full component of minerals and trace elements naturally. Hydroponic systems also rely heavily on plastic and non-sustainable components, but that’s a personal choice. I am happy to share what I know. I have done a lot of research into avoiding chemicals and toxins in the garden, particularly where plastics are concerned. There’s a huge number of research papers, scientific studies and credible technical reports on the dangers of PVC. I am happy to email some to you or read some of the comments on this page for a few of the links from similar questions in the past. Basically, all plastics are liable to leaching – some more than others, depending on their manufacturing and exposure to UV etc. HDPE is apparently supposed to be one of the ‘safer’ plastics but you will have to make your own decision about what you choose to grow food in. However, research also is quite clear that Most Plastic Products Release Estrogenic Chemicals: A Potential Health Problem That Can Be Solved. In that research study, the authors concluded “Almost all commercially available plastic products we sampled—independent of the type of resin, product, or retail source—leached chemicals having reliably detectable EA, including those advertised as BPA free. In some cases, BPA-free products released chemicals having more EA than did BPA-containing products.” This includes HDPE products. You can learn more in How To Recognize the Plastics That Are Hazardous To Your Health. Personally, I keep PVC well away from my garden and try to use natural materials wherever possible to avoid contaminating my soil and food. I hope this helps provide some food for thought! 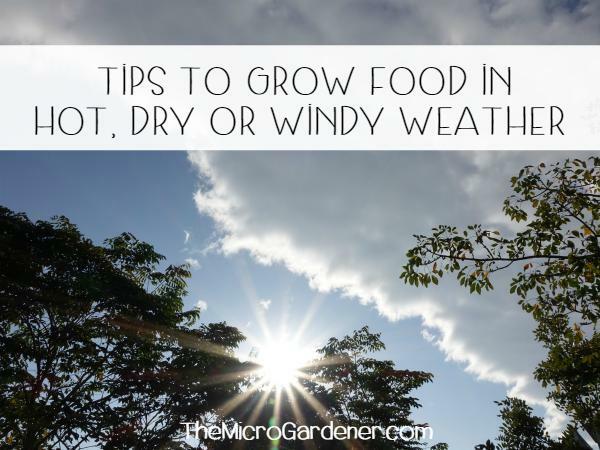 If you need help growing food in small spaces, minimizing the need for water, please feel free to check out the many articles on this blog. All the best with your research! Sorry if this is a repeat question. We have a old plastic heating oil tank that we have drained and cut in half. It is the perfect size for growing all the veg we need and we have given it a good clean. Would it be safe to use do you think? If in doubt could we line it with something? We’d really appreciate your thoughts. Hi Karen it’s difficult to say. Perhaps you could ask the manufacturer what kind of plastic it is made from? I am not familiar with plastic heating oil tanks. Leaching from plastics is always a concern especially with food gardens. See what you can find out from them. Then you can make a more informed decision. Just found your site while searching for an answer to a question. Great site! I looked through all your comments and didn’t see this one, so I hope I’m not asking a repeat question. We have a smaller hot tub that has cracked over the winter and is now unusable without investing a lot of money. We have been wanting to put in some raised beds and are now wondering if it would be safe to grow veggies in the hot tub or if we need to be concerned with chemical leaching. Thank you so much for any advice you may have! Hi Cheryl, I’m not sure about the answer to that one. If it is a bath rather than a spa, then you could possibly use it as a wicking bed. If not, then perhaps check with the manufacturer for more information on the materials. Here are some wicking bed tutorials – however I don’t recommend using PVC pipes as these leach chemicals! I am about to plant veggies into a large aluminum container. We bought a new horse trough and were hoping to use it for a raised bed. Have you heard of aluminum leaching heavy metals into soil? It’s tough balancing repurposing with safe food growing practices. It comes down to doing your due diligence and this often means reading research papers (some of which are in the above comments). I hope this helps give you some food for thought and info you can use to make your decision. I am going to try some organic gardening in pots. Came across some great resin planters at Costco called Kiri Resin planters which are labeled LDPE 4. Are these absolutely safe for growing fruit and vegetables? 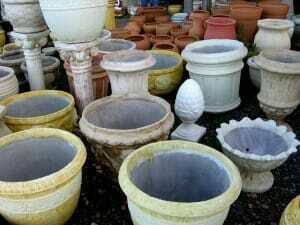 Great to hear you are going to start organic gardening in pots. As far as I know LDPE 4 (low density polyethyene) is one of the safer plastics. However no plastic is 100% safe. Based on recent research I’ve read, under different conditions they can all leach some chemicals. There’s an article that explains more about food-safe containers @ http://modernsurvivalblog.com/preps/safe-plastics-for-food-and-drink/ which may be of interest. You may want to contact the manufacturer directly and ask for an MSDS (Material Data Safety Sheet) for more information. Could I line the interior with the plastic that the MiracleGrow soil came in? Thanks for the WONDERFUL site and great info! My personal opinion is I wouldn’t! See my other suggestions. You may find it of interest to read more about MiracleGrow and the company that make it, Scotts here. It may change your thinking! Personally, I believe in doing my due diligence before buying any product now and choose to support companies that have proven they are not damaging the planet and environment. For me, this is an ethical decision and I work with brands I trust and that have organic certification where possible. Sadly, this is often one of the only protections we have, as consumers, as to what is in a product. Best of luck. I just built a vertical garden and planned to grow herbs and small vegetables in it. I stained the exterior and the part of the interior that would show above the soil with an oil-based stain. After reading the label on the stain, I am now worried that I made a mistake in staining the wood. Is it safe to plant herbs and veggies in these planters now? I think you may have answered your own question here! Sounds like the stain has chemicals in it, as most do. For food gardens, soluble chemicals that leach into the soil can be taken up into the plants via the roots. So if you don’t want to be eating contaminated food, you’ll need to think creatively about how you can still use your structure. 1. 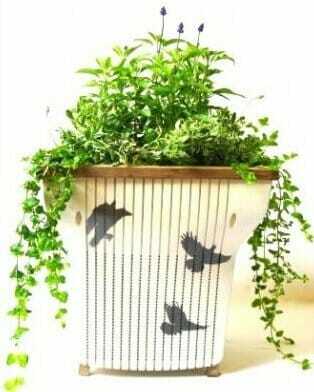 Perhaps you can sit smaller containers or rectangular pots inside the vertical sections to grow your herbs and vegies. i.e. use your vertical garden structure as a cachepot. 2. Line it – a barrier may help reduce any leaching. Perhaps avoid lining it with plastic – this just takes you back to square one! A dense weed mat perhaps that still allows moisture to drain through or a landscape fabric. You may have to research what’s available in your area. 3. Use the structure for ornamentals instead! Hope this helps. Let us know what you decide to do and find out as I’m sure others would benefit from your research and decision. I want to attempt aquaponics but have found that large pots are super expensive. Though things like old washbins are the right size however im not sure if a metal bin is ok to grow vegetables in. What do you think? Hi Kathleen, it’s hard for me to comment as there’s only limited information about the ‘metal bin’. However, the basic principles apply: Do your due diligence if you are repurposing. Find out the history re contaminants. Metals do leach especially when in contact with water so are generally better suited to short term projects with ornamentals like succulents rather than food. Metal + water = rust! So perhaps consider a material more suitable for growing food in contact with constant moisture? You could try Freecycle.org in your location & post a free ad for what you are looking for – perhaps you’ll find the perfect container! Thank you for your thoughtful response, Anne. I did ask the company, Aurora Innovations, what materials they use to make their root pots. They stated their pots are made from recycled plastic bottles and fabric. This sounds concerning to me because of the plastic – I’m concerned about chemicals from the plastic in the recycled bottles leeching into my soil, especially when it gets hot outside. With so much information re: the negative impact of plastics on our health, it seems strange to me that a company with an organic focus would use plastic in a vessel that would be used for organic growing. What are your thoughts on these root pots now, knowing the materials from which they’re made? Hi Janel thanks for sharing your research on the Aurora root pots. Personally, I think you have to decide for yourself if the product lives up to your expectations now you know it is made from recycled plastic bottles and may potentially have problems with chemicals leaching. I err on the side of caution where my own food gardens and the environment are concerned. There are many companies trying to do the right thing with their products, and others that need to realise that just because something is recycled, doesn’t mean it meets organic standards when it comes to growing food. When you dig a little deeper and do your research, sometimes you have to make tough choices. There are plenty of safe alternatives out there – why not start by recycling your own cardboard toilet rolls into seedling pots? They are free and can be buried directly in the soil where they will biodegrade and add organic carbon. I hope this helps! What are your thoughts on root pots, particularly those made by Aurora Innovations out of Eugene Oregon? 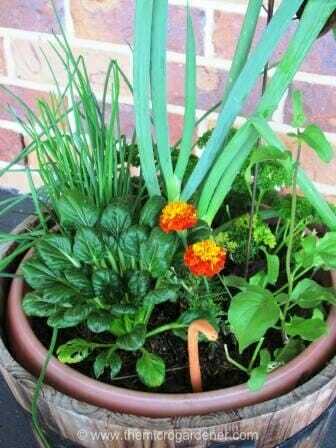 Do you consider these pots safe and good for organic container gardening? I have some organic tomato plants and herbs I want to grow in safe containers. I’m not familiar with the Aurora brand of root pots, although the company seems to have an organic focus. Root pots do offer some advantages if your climate suits those conditions and also your budget allows for a temporary pot that will eventually break down. In response to their statement, “Made from 100% Recycled Material”, I would suggest you ask the company to provide more detailed information on their product. e.g. Exactly what materials do they recycle in the process? Where do those materials come from? Are they local or imported? Do those materials leach any toxic chemicals? Do they use chemicals in the manufacturing process? They would be the best ones to help you find out more. Recycling is a great concept, and I’m all for environmentally friendly and responsible products. When making a purchasing decision, I’d encourage you to think about the wider pros and cons of containers. If for example, you recycle toxic plastics that will leach into the soil, then it’s not the sort of product an organic gardener would want to use. I’d suggest you do your due diligence and find out directly from the manufacturer so you can satisfy yourself in this regard – they may also supply you with a MSDS (Material Safety Data Sheet). Please share your findings back on this page for the benefit of our readers. It would be good to know! I wanted to paint the rim and a little further, where the soil would not be touching, not all of the inside. So since it is so porous, is it bad to have painted the outside at all? I know it’s on the outside, but would the chemicals from the paint on the outside of the pot somehow make it to the inside of the pot where the soil and plant are located? I really am not sure about that – due to the porosity of terracotta, I guess some leaching of soluble chemicals is possible and you don’t mention what kind of paint, so I’m guessing it’s not an Eco paint (no VOC). If you want to be sure, why not add a smaller container inside and grow your plant in that if you have your heart set on painting the pot to look nice? Alternatively you can buy ceramic pots (see my post on Choosing Pots – Pros & Cons for more tips). That may be another option for you. Thank you for the helpful information and I’d kindly ask your experience about the following: I’m intending to plant vegetables in terracotta pots that are decoratively painted on the outside; and on the interior have either residual splashing of the exterior paint and/or have been painted black. The pots were purchased about two years ago from my local garden center for the explicit purpose of planting. Therefore, I assume the paints used are non-toxic, but I don’t know if the pots are explicitly safe for vegetables (I was previously using them for flowers). The folks at the garden center had only speculative information. In your experience, if a terracotta pot is painted by the manufacturer on both the interior and/or exterior, is it reasonable to assume the pots and paints safe for vegetables? I am not sure whether you mean hand-painted terracotta or ceramic (glazed). The processes are quite different. Check out my post on Choosing Pots – Pros & Cons for more information including the comments section. You may also like to read my replies to Mimi’s similar question in the comments on this page. You could try asking your garden centre for the name of the manufacturer as they will have information specifically for their product. They may be able to provide you with a website with product data or ask the manufacturer what process they used and if they have a MSDS (Material Safety Data Sheet) which may provide specific hazards if any, associated with your pots. Or try http://siri.org/msds to search for more information. Hope this helps. Hi Anne. I have a question about pots and spray painting them. I plan on starting a basil plant, and I have this one terra cotta pot that I would like to spray paint (with Rustoleum brand), but I’m a little hesitant.. My gut is telling me that it’s probably a bad idea, but I’d like to hear your thoughts on this. I’ve so far painted the OUTSIDE of the pot, but held back on painting the inside, at least until I hear back from you. Thank you! I am not sure WHY you want to spray paint the interior of your terracotta pot. It’s going to be filled with soil and a plant so what is the purpose? Terracotta has many advantages (see my post on Choosing a Container – Pros and Cons) for more information. I recommend avoiding chemicals where food plants are going to be grown and terracotta is a very porous material so moisture moves in/out of the surface. If you really want to change the way a pot looks, you can always consider using a cachepot (larger decorative outer pot with smaller one inside). Hope this helps and gives you some ‘food’ for thought! Should I be concerned about the glue used in wooden planter used for growing food? The wood is untreated cedar and I am happy with that, however, glue is used in the construction. I don’t a definitive answer to this question. All glues have chemicals and based on what I’ve read about many products, sometimes the process used during manufacture can render the chemicals inert (safe). However, over time they can biodegrade and then their properties can change. I’m not an expert in this field. Could you check with the manufacturer of the planter? Perhaps they could send you to a website where there’s more specific information on the product you are using? Depending on the chemicals in the glue, these can be pretty toxic. Here’s an example of one such chemical used as a glue preservative. http://www.epa.gov/ogwdw000/pdfs/factsheets/soc/tech/pentachl.pdf. It’s wise to do your due diligence if you are an organic gardener. Let me know if you find out anything and please share the results here to help others. Good luck. Hi .. this great info. Thanks so much. I want to start a herb garden and I have a lot of baby formula containers. Are they safe? Farah thanks for your comment. You don’t mention what the containers are made of – plastic? metal? other? I would check with the manufacturer if you’re not sure – ask for an MSDS (Material Safety Data Sheet). This may provide additional information about the packaging of their products. I’m not a fan of growing food in metal containers due to chemicals leaching – there are many safer alternatives. Consider natural materials you can repurpose such as cane baskets which don’t last a long time but are much safer. Hope this helps. Hello…I am considering investing in a raised bed planter made locally here in Colorado…I spoke with the owner of the company today (GrowTrek) and asked if he knew what the plastic liners in the planter are made of…He said they are made from recycled billboards and he was not certain what the material is exactly and if it is toxic…he has grown his own food in these containers for quite some time and has no complaints…I have researched a bit on line but haven’t found any clear answers about the recycled billboards…maybe vinyl of some kind? Do you have any thoughts? Hi Skye, great to hear you are getting a garden going in a raised bed but I think you are right to ask questions about the products you are considering. I believe companies marketing/selling products for growing food should do their due diligence on the materials/manufacturing processes. Consumers have the right to know what safety issues may be associated with a product. We have to take responsibility for getting information on the products we buy and I think it’s important to find out if there are any potential leaching of chemicals issues with recycled vinyl. I would ask what the process is and suggest you follow up with GrowTek and ask for their MSDS (material data safety sheet) which may provide more information. With moulded products, sometimes the manufacturing process renders chemicals inert but when they are recycled this may change the structure or properties. Perhaps also research alternative products that may not have this potential issue? There are many raised garden beds you can make yourself and quite economically such as haybales, which can still look attractive. Here’s one site that discusses the recycling of billboards that may help give you some contacts. http://greenbusinesswatch.org/blog/relan-recycling-and-repurposing-billboard-vinyl. Hope this helps. Would love to hear back on what you find out! Dear Anne, Thank you so much for your response and the helpful information. I shall let you know how the project unfolds! Great article with some very useful information. Certainly plenty of food for thought! I’m considering building a vertical edible garden using sections of roof guttering. I’d be looking to use more modern guttering (either newish 2nd hand or brand new). This should avoid hopefully avoid the lead paint issue. Do you have any thoughts or comments on how safe it is to grow and eat produce grown in this type of metal gutter containers. I haven’t done exhaustive research into this as yet but do have some info which may assist you in making a more informed decision. One report indicates the leaching of heavy metals (including zinc, copper and lead) from (even new) roofing materials contaminated water – particularly from galvanized steel products. Other research shows this result to be consistent. As plants take up water through their roots, they may well be affected by this contamination and many other factors come into play. Zinc is not considered a “food-safe” material and it is recommended to avoid contact between food and galvanized surfaces because acidic foods can dissolve zinc. You also need to consider that whilst metals do leach, if you preserve the gutters with some form of chemical paint or other coating, this too may contribute to the problem of food safety. See p1-7 in this research study for the wider implications on human, animal and soil health from metal toxicity. In any case, other considerations are that metal gutters will heat up considerably and this may affect a) damage to the root zone particularly as they are so shallow b) the necessity for frequent watering due to the shallow depth c) the need for a high quality planting medium to retain moisture or limited plant choices to suit this situation. Dear Anne, thank you for your wonderful site, I’m so happy I stumbled upon it. A question regarding painting plastic containers: I found some nice big containers from the food industry that I would like to repurpose as planters for edibles. Only thing is they are a rather ugly color… do you know if it would be safe to use acrylic ( or any other type of) paint on the outer sides or could leaching be a problem? Thanks for your question. My first thought is: Are the plastic containers definitely safe to grow food in? Since you are repurposing them from the food industry I am guessing they probably are – but just to make sure, check the recycle numbers first (avoid 3, 6 & 7). Re painting them, I assume you will be painting the outside only but there are eco-paints or non-toxic, no VOC (volatile organic compound) paints you can use. Try Googling the terms “Eco paint” or “environmentally friendly paint” for your location. This would be a good starting point. To keep costs down, you can also ask for sample pots until you are happy the paint is suitable and adheres to the plastic OK. You may have to scour the plastic surface for it to adhere properly or use an undercoat in the same colour. Hope this helps! I’m not familiar with popcorn tins but found a company that makes them @ http://www.ballsteeltinusa.com/our-products/popcorn-tins/ – perhaps if this is the style of tin you have purchased, you could contact the company directly to learn more or ask for a MSDS (Material Data Safety Sheet). If the metal is stainless steel, it’s worth knowing that it can leach some heavy metals according to research I’ve done. You can read more in the article ‘Stainless Steel Leaching into Food & Beverages‘. Whilst this information doesn’t specifically relate to growing food in stainless steel, one can reasonably conclude that if it leaches heavy metals like nickel, chromium and iron into food, this could also occur in soil. So I guess it’s a matter of applying the ‘precautionary principle’ and erring on the side of safety rather than risk. If I’m unsure about whether there could potentially be toxic substances in my soil or a container, I add zeolite, a natural mineral that helps absorb heavy metals and prevents them from leaching into the environment – a kind of ‘insurance policy’. Hi Anne, and thank you for the great page! I am thinking of using an old trunk that’s bottom is a bit worn down from getting wet. There is fabric on the inner walls I may pull out. Could I line this with anything to make sure it is safe to grow herbs in? thanks so much for your wisdom! Hi Anne, I found 24″ Fiskers plastic, clay colored pots in a big box store. The only numberon the bottom is 24, assume that it refers to the diameter. How do I know if these are safe for growing edibles? I’ve checked the Fiskers website and cannot find any info. Thanks for giving me peace of mind. Lynn I’d suggest contacting Fiskers direct and checking with them about the product you have. They may be able to supply an MSDS (Material Data Safety Sheet) or at least advise which plastic recycle number it is. I recommend avoiding 3, 6 and 7. Perhaps ask the question via https://www.facebook.com/fiskars? Hope this helps. Thanks so much for the great advice, Anne! Will send a pic through when it’s done. I purchased containers in the US but were made in Canada. The bottom of the planters say D81614. Wondering if these are safe for gardening vegetables. Thank you. Hi, I’m trying to get a container herb garden going, as a sort of trial to see if I could do it then I’d add some veggies too. However, as I’m a prep cook and our restaurant goes through large cans of veggies on a regular basis, I was thinking about salvaging some of them to use for my herbs and maybe later some veggies. However, I can’t seem to find any info on if they’d be safe for food gardening! Any thoughts? Some logic would say that if they’re safe enough to can food in, they’re safe enough to grow it too, but I don’t trust it enough to buy into it fully yet! Again, any thoughts would be appreciated! Great to hear from you and a thought provoking question. My philosophy with growing food in repurposed containers is to err on the side of caution and do your due diligence. This is a HUGE topic and one I’ve had an interest in for several years. I have accumulated a lot of information on it but haven’t had the time to put together a book yet. The short answer is don’t assume canned food is safe to eat! “Independent laboratory tests found a toxic food-can lining ingredient associated with birth defects of the male and female reproductive systems in over half of 97 cans of name-brand fruit, vegetables, soda, and other commonly eaten canned goods. The study was spearheaded by the Environmental Working Group (EWG) and targeted the chemical bisphenol A (BPA), a plastic and resin ingredient used to line metal food and drink cans. There are no government safety standards limiting the amount of BPA in canned food.” There is a wealth of information on BPA out there for further reading. Obviously metal cans rust quite quickly when they come in contact with moisture but lining them with plastic to lengthen the life of the can as a planter then brings into question how safe is the plastic? There are alternatives such as coir peat (a sustainable resource) that would act as a natural barrier but I haven’t read any findings on leaching of chemicals through a lined can. I use metal cans as planters for non-edible flowers that bring pollinators to my garden so I AM reusing them, but not for food. When their usefulness is up, then I know I’ve done my best to repurpose the material and not just add to landfill. My pleasure Sarah. I’m working on some more posts on safe gardening so watch this space! Wow! So grateful for your thorough response. So much helpful information. Very much appreciated! Excited to continue learning. This is such wonderful information. I am starting a container vegetable garden for the first time, I am a beginner gardener. I found some old drawers on the side of the road. They are mostly fiberboard, not real wood. Would these be safe to grow veggies in? I see lots of blogs, articles, and photos of people who’ve grown vegetables in old drawers, but my concern is that the fiberboard is treated with chemicals and/or that it could rot. Thanks for your feedback on this article and glad the information is useful to help people question rather than assume, that a container is safe. Unfortunately we have to take responsibility for our own health, and even more so, when we are choosing to grow our own food organically. So, without going on further, I guess you have to find out IF the drawers are made from this material, and then decide what state they are in and whether you want to keep them or use a safer alternative. It may be possible to paint them – but perhaps consider using an eco-friendly low-toxic paint! You can also refer to some of the articles on this site about repurposing containers. If you are able to satisfy yourself the drawers are not going to continue emitting toxic VOCs which could be harmful to your health, and you are really in love with this piece of furniture and still want to use it to grow food, I would still err on the side of caution and perhaps use a safe cache-pot container to grow your food and sit this inside the drawers. I hope this helps in doing your due diligence. Feel free to ask more questions if you need to! Otherwise Sarah, I hope you enjoy learning how to grow food at home and can pick up some tips here – feel free to email any time if you need help. 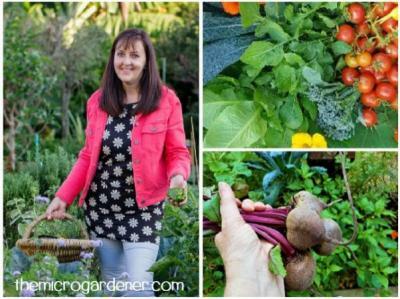 If you subscribe to my newsletter, you’ll get all new articles plus lots of tips and a free eBook I wrote which is designed to help beginner gardeners. Look forward to staying in touch and would love to know how you go with your drawers!